Hello there, first of all thanks for purchasing PersonalOne. This is a comprehensive and also easy to use help file that let’s you setup and use PersonalOne WordPress theme. PersonalOne is designed really user friendly and if you have been a WordPress user before, you won’t need to read this help file completely and it’s enough to look at the main titles and read what you need. You need to extract the .zip file which you’ve downloaded from Themeforest server. It contains a couple of folders such as Help,.. and the main theme folder. The theme folder’s name is “ht-personalone“. 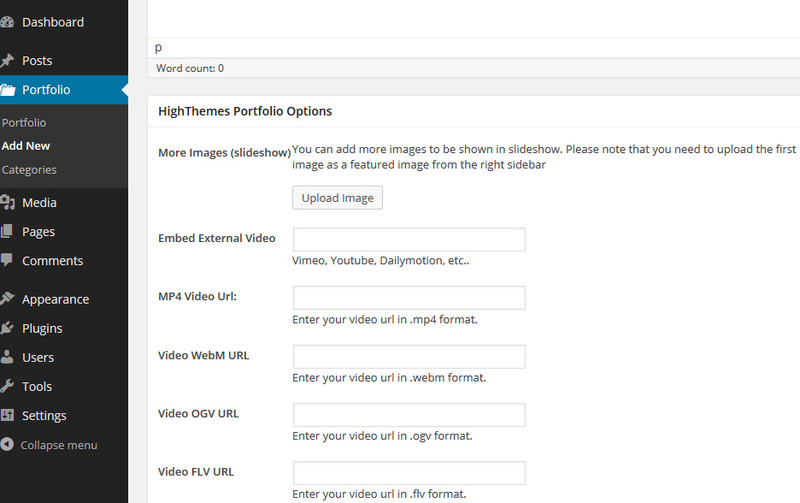 You can upload it directly to your host via ftp in /wp-content/themes. 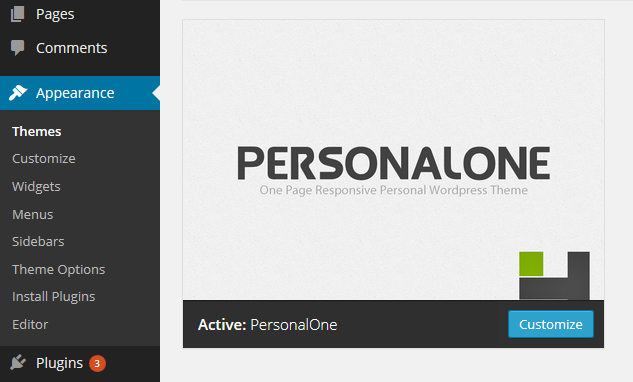 Then you can simply activate PersonalOne as you would activate every other WordPress theme at Appearance -> Themes. Also you can use “ht-personalone.zip” file in WordPress theme uploader section in order to install the theme via WordPress directly. 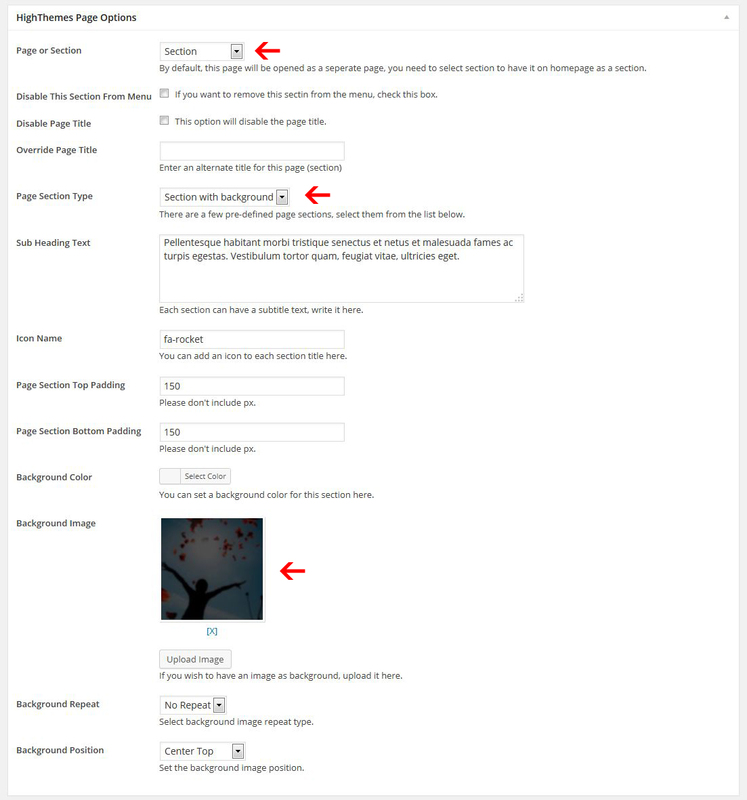 Just after activating the theme you will be redirected to the theme options page where you should save the default settings. 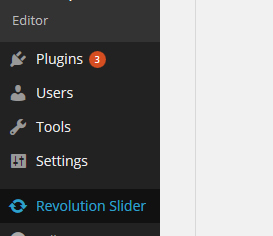 As you see a notification message is shown which guide you to install Slider Revolution plugin. This plugins has been purchased and embedded inside the theme. You need to follow the notification message and make sure the plugin is activated. You need to do the same proccess for blog. 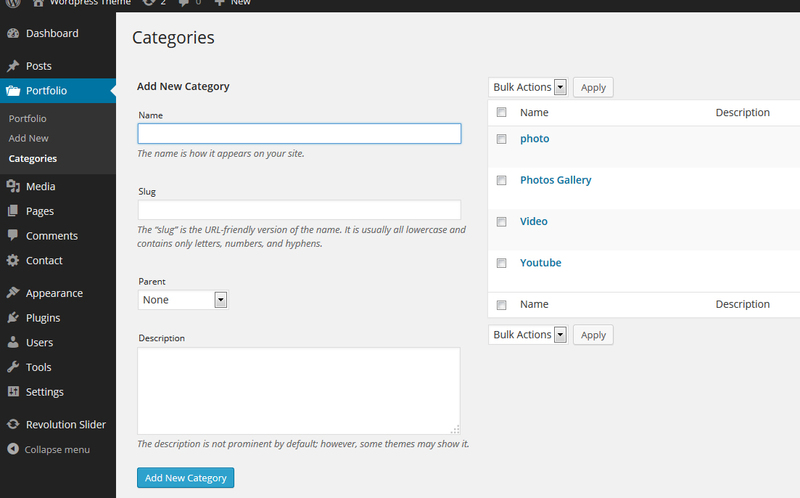 Create a page, give a title (for example Blog) to it and set the page options shown below for it. As you see, there are a few options you need to know how to work with. The first one is “Page or Section“. 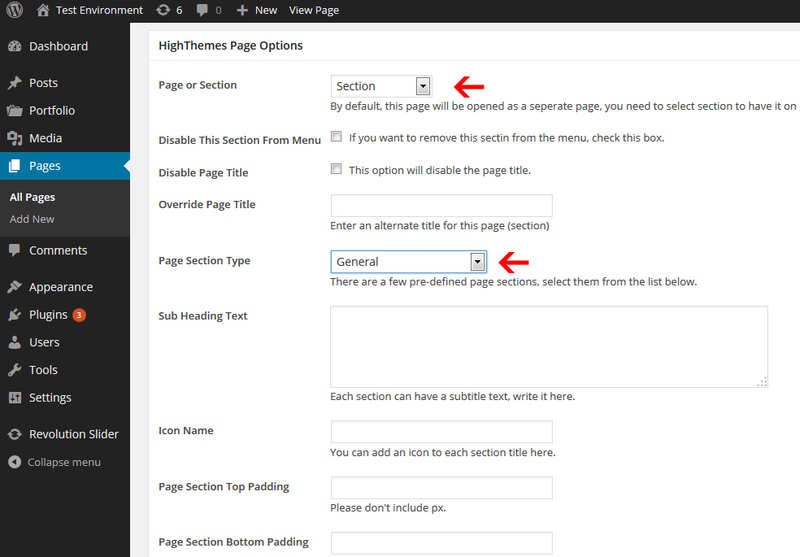 This option allows you to choose whether you’re creating a page section (shown on front page) or a separete page which will be opened as a new page ( it won’t be included in front page). 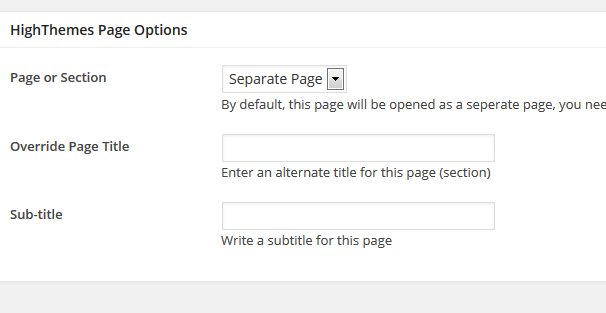 Here we’re going to create page section so leave the first option as “Section”. The another important option here is “Page Section Type“. There’re a few pre-defined section types including: General (default), Home Section, About, Portfolio,Section with Background, Video and Contact section..
About: Used for About section. You can upload multiple images of yourself and add some details about yourself. Home Section: This one is the container of the slideshow. Also the first element on the navigation menu must be a Home section. Portfolio: used to show your portfolio items. Contact: Contact section with optional form from contact form 7. 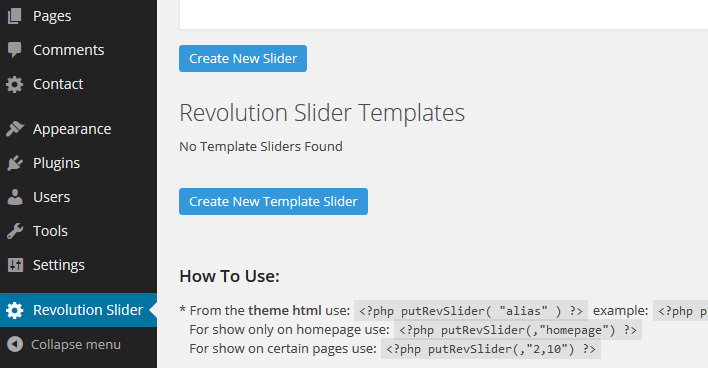 Firs you need to create your slider via Slider Revolution plugin which you installed before. After creating your slider or importing the default one from the package, you can use it in home section. Home section must be the first section on the front page. It’s the container of the slider. To create a Home Section, create a new page, you can do so by navigating to Pages > Add New. You can give this page a title. you do not have to include any content. 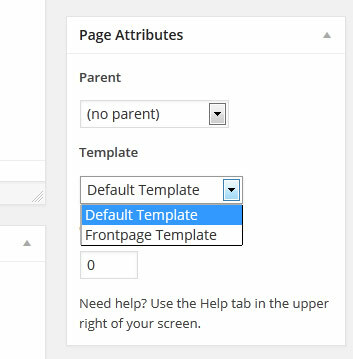 Under the page attributes section the page template must be set to “Default Template” and Under the “Highthemes Page Options” metabox, Select “Page Section Type” as “Home Section” and select the slideshow. ( you should have created the slider via Revolution slider section). Your home sections is ready. You just need to create slider’s items. Note that there must be only 1 home section and it should be placed as the first section in the Primary Menu. 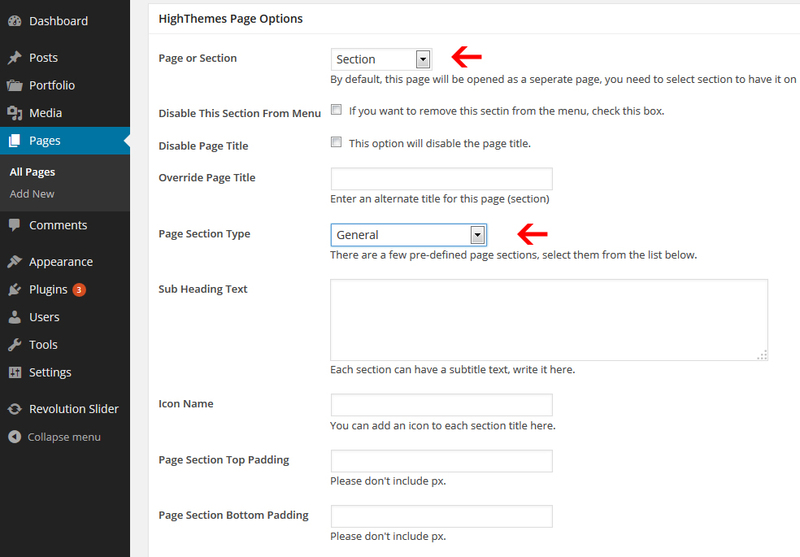 Select page or sections as “Sections” and Page Section Type as “General”. This section type is used for general sections. 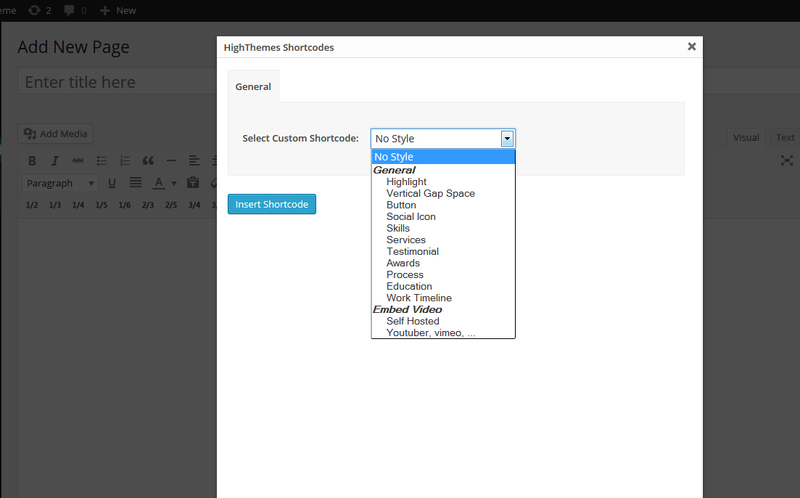 You can insert your content in this section, use shortcodes, …etc. After creating your portfolio items ( See 10. Portfolio/Gallery), you can display them as a page section in front page. The settings should be like below. 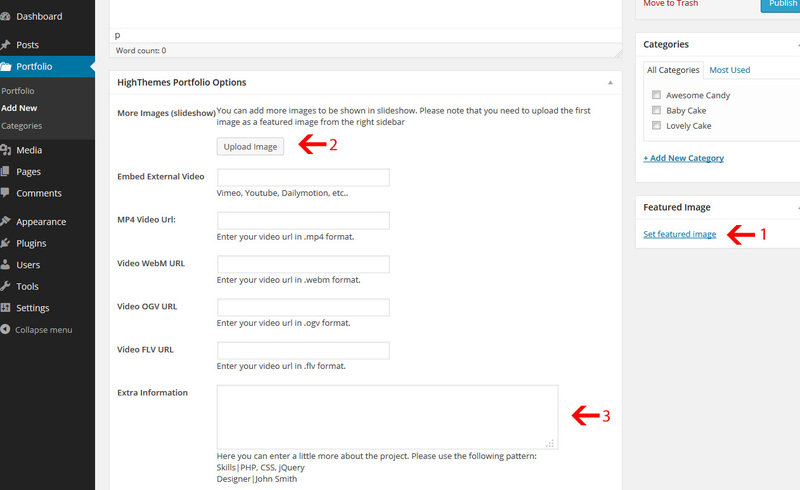 You can choose the number of items to show and the portfolio category can be selected for each portfolio section. 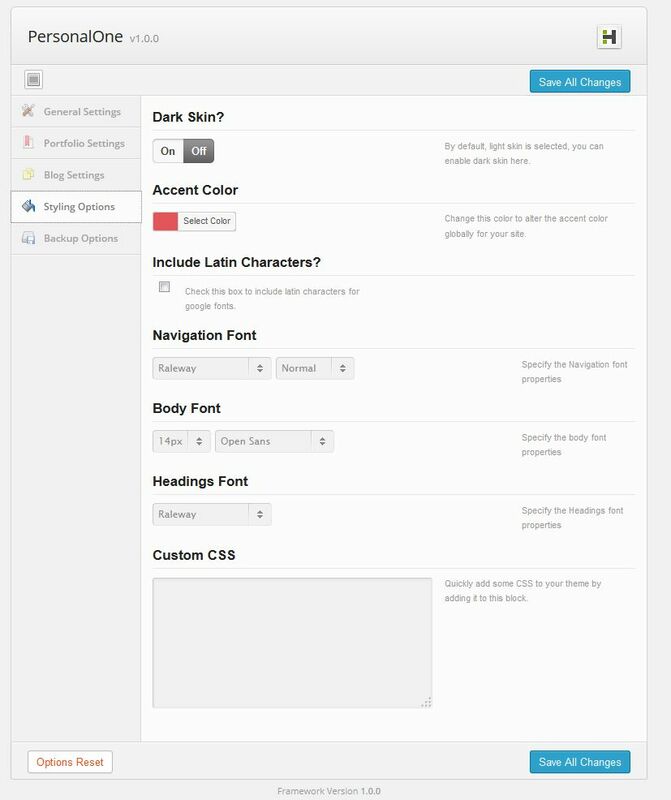 The contact section uses Contact Form 7 Plugin. 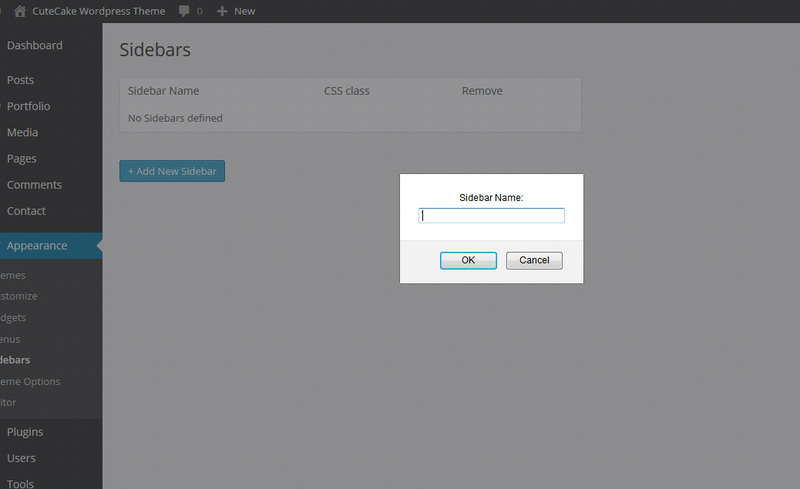 You need to create a contact form via the plugin and paste the generated shortcode in the specified field. Please check the image below. As you see the form contains a special html structure. Please paste the following code to create the demo form. As you see, weh have assigned the Menu to “Main Navigation of Personal One”. Now you can add the front page sections to the menu. Make sure “Home” is as the first menu item. 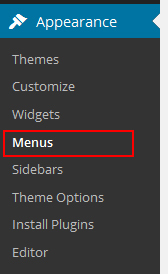 To add items to the menu, you can easily check your desired items and then click on “Add to Menu” button, then set the order of menu items by drag and drop and finally click on the “Save Menu” button Note: You should beware that this is a one page theme and you can not assign submenu items. 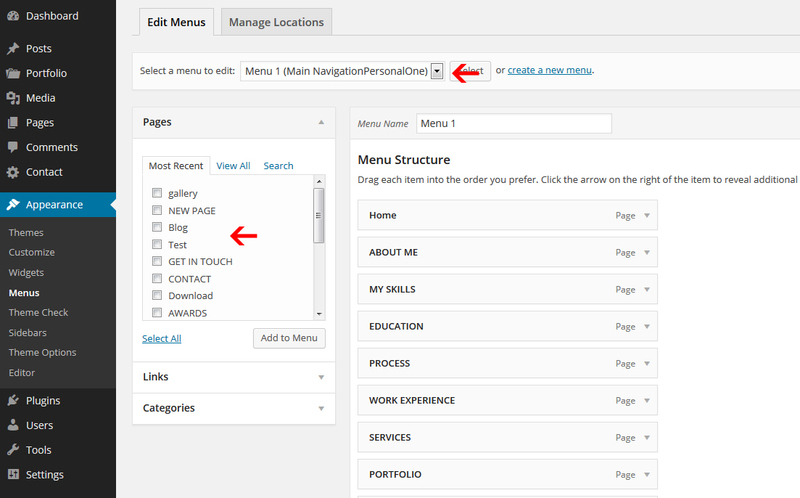 Note: The order of menu items, determines the order of sections on your home page. 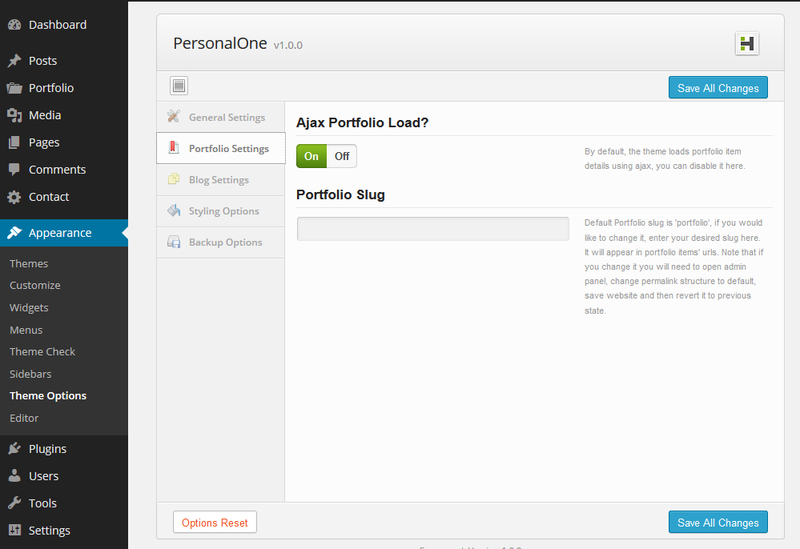 PersonalOne comes with a lot of shortcodes with a visual interface. There’s an icon on visual text editor of WordPress which you need to click on in order to open the shortcode manager. 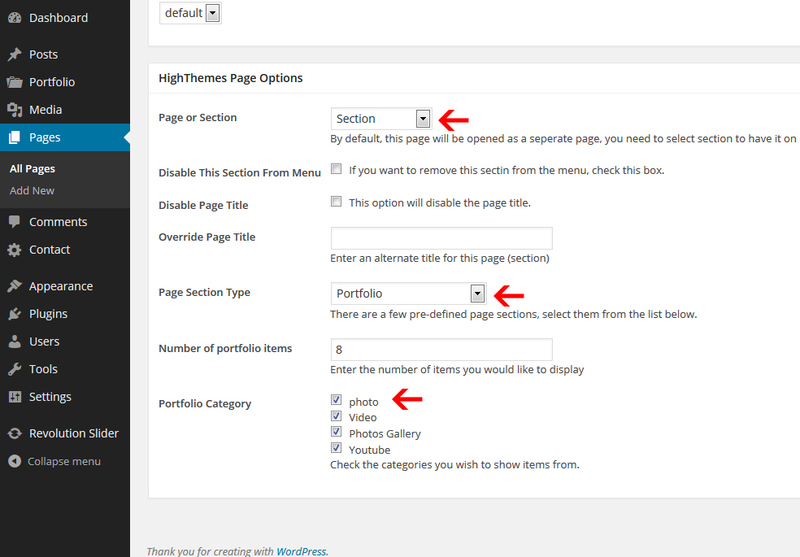 After navigating to Portfolio > Add New, you need to fill the title and the content of the item. Then, as we shown below, (1) Upload the main thumbnail of the item. (2) Upload More images for the item which will be shown in the portfolio item page as a slideshow. And (3), here you can add some extra information to the single page. Please use the provided pattern for extra information. 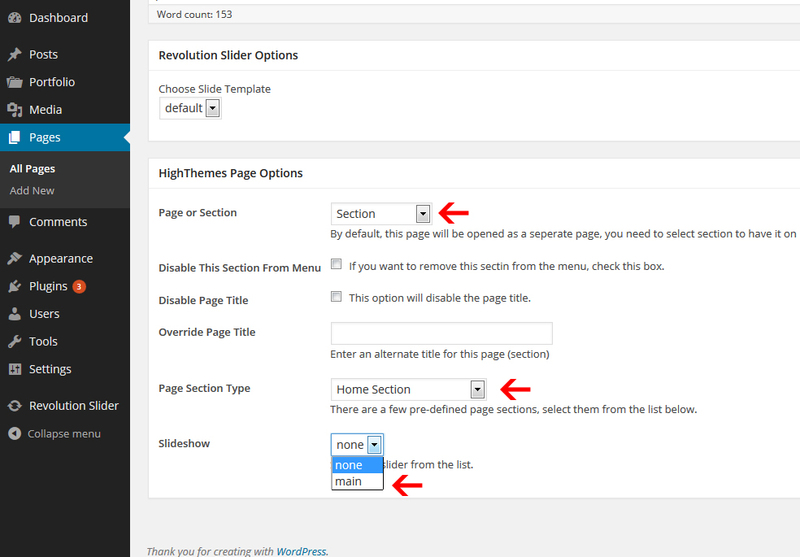 For single blog posts & pages, you can have custom sidebars. As you know, WordPress has some predefined widgets that you can see them on WordPress admin dashboard, in Appearance -> Widgets. But PersonalOne provides a couple of widgets that you can see them in widgets list when PersonalOne is your activated theme. PersonalOne’s main CSS file is style.css which is located at the root folder of the theme (/wp-content/themes/ht-personalone/).